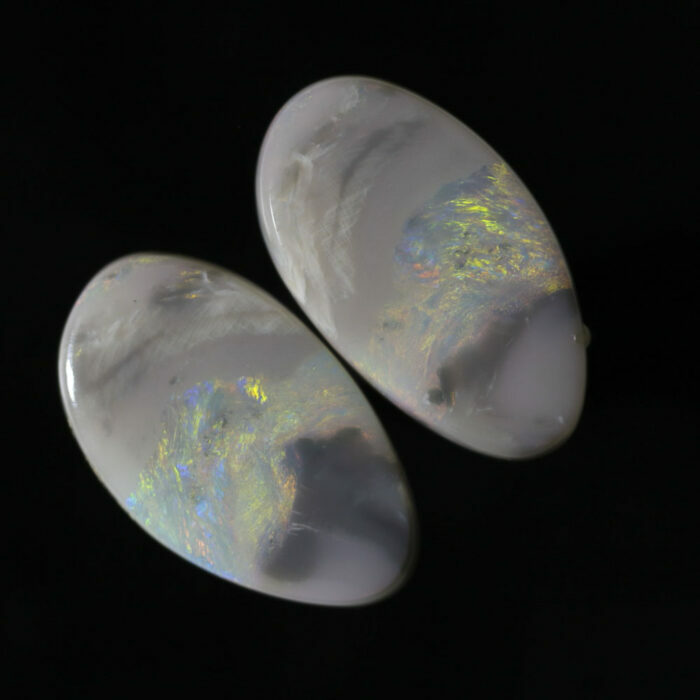 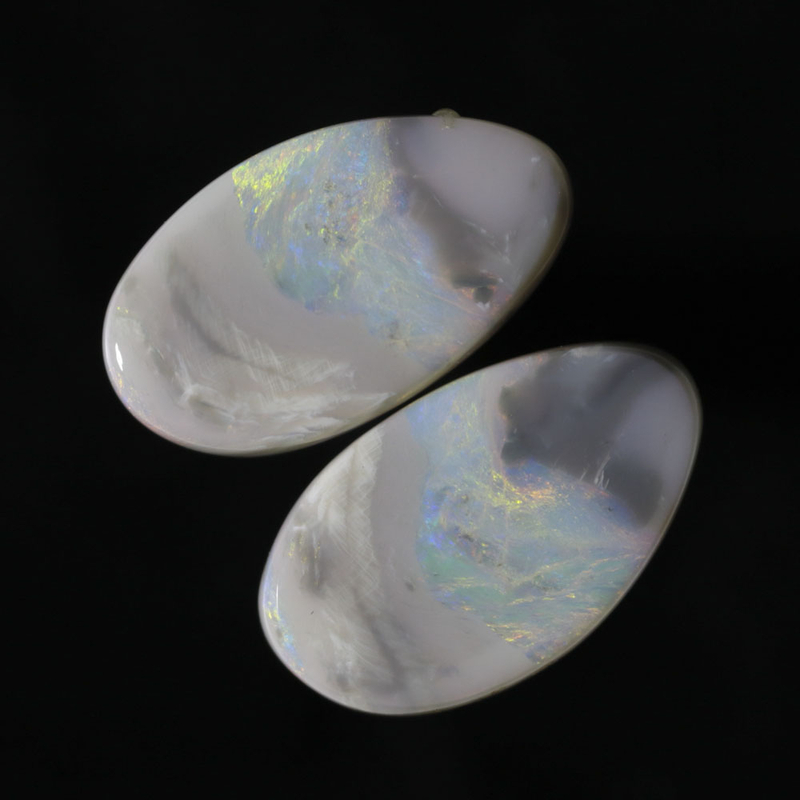 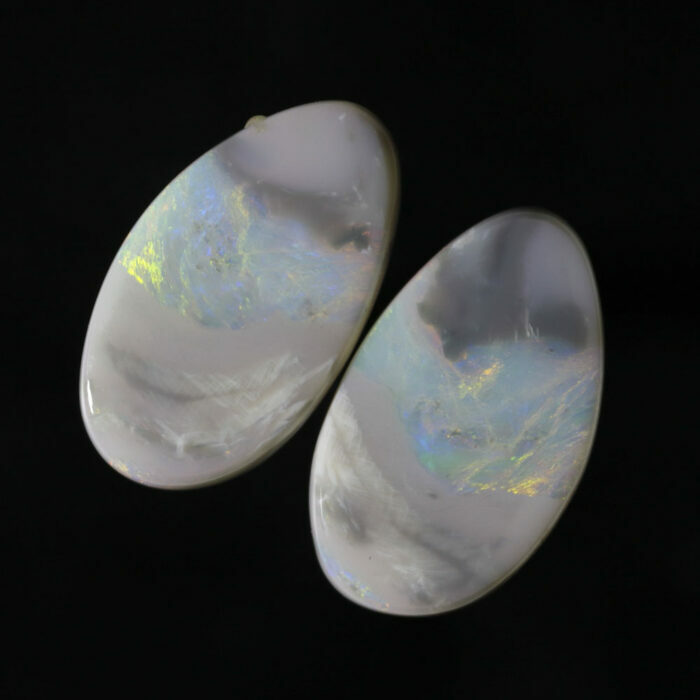 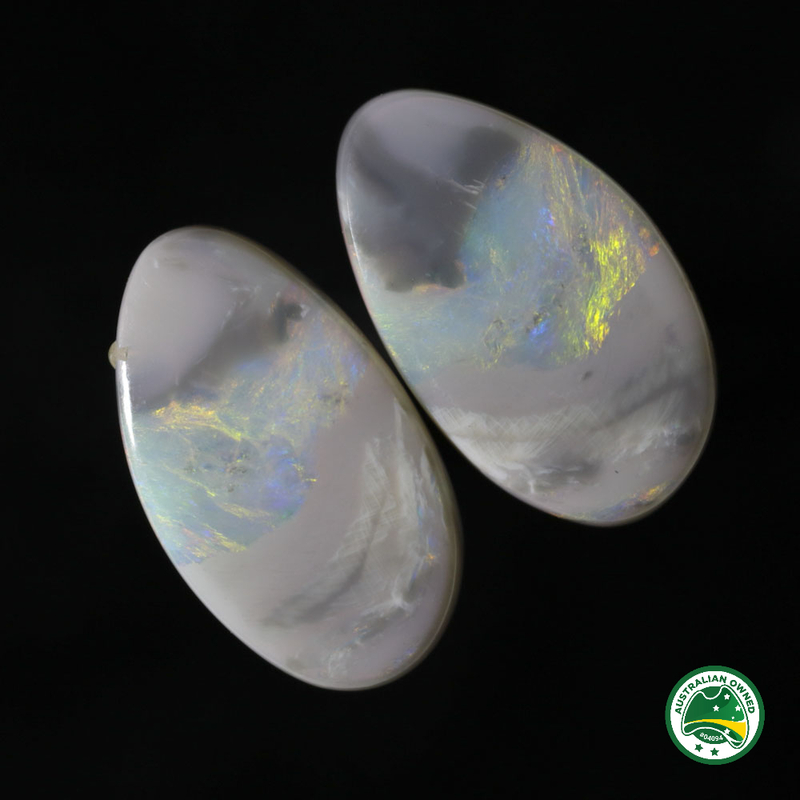 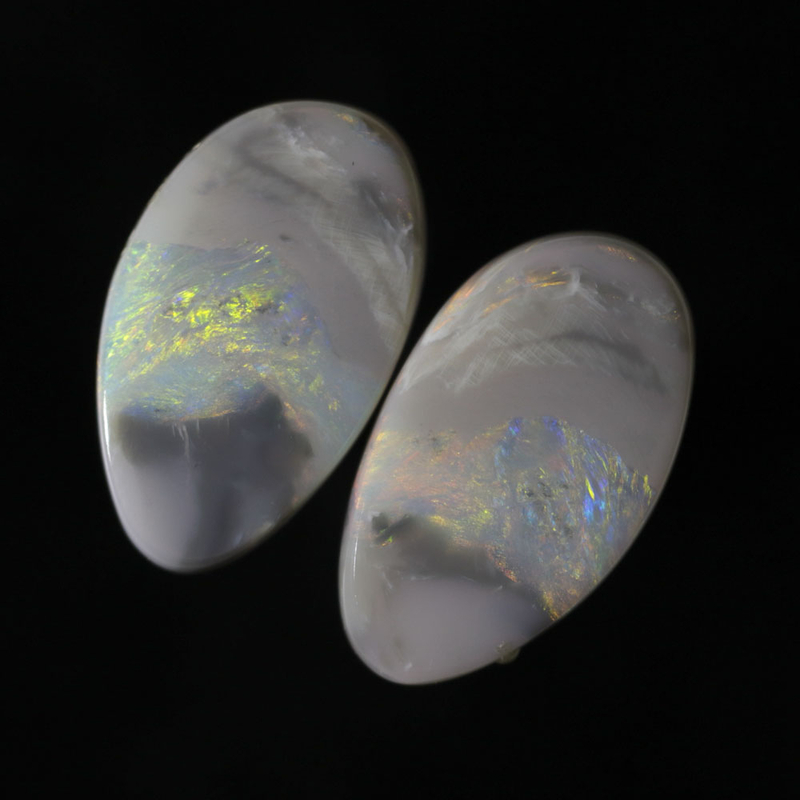 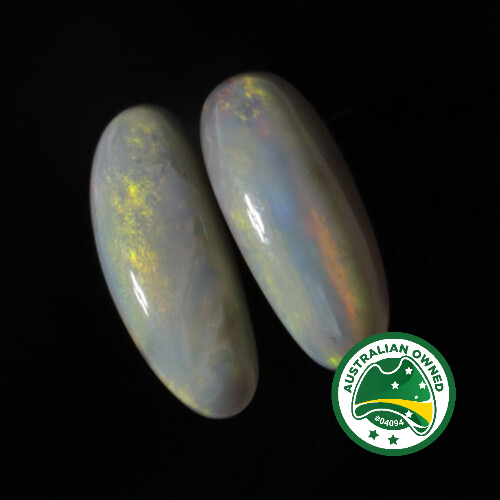 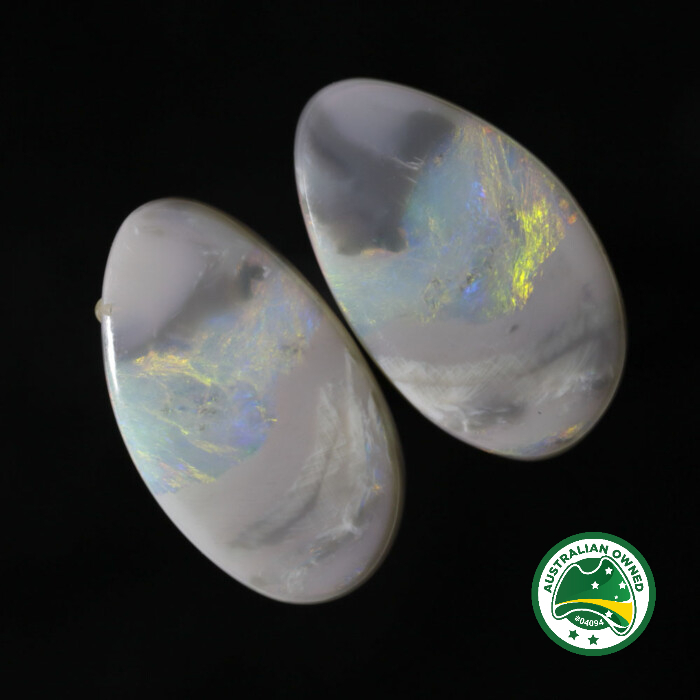 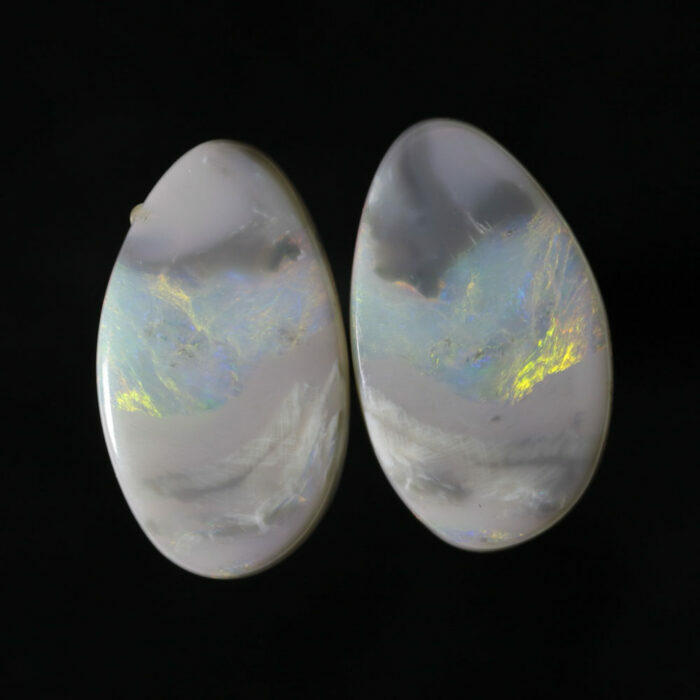 A lovely example of the patterned opal that has come from the Grawin area of late. 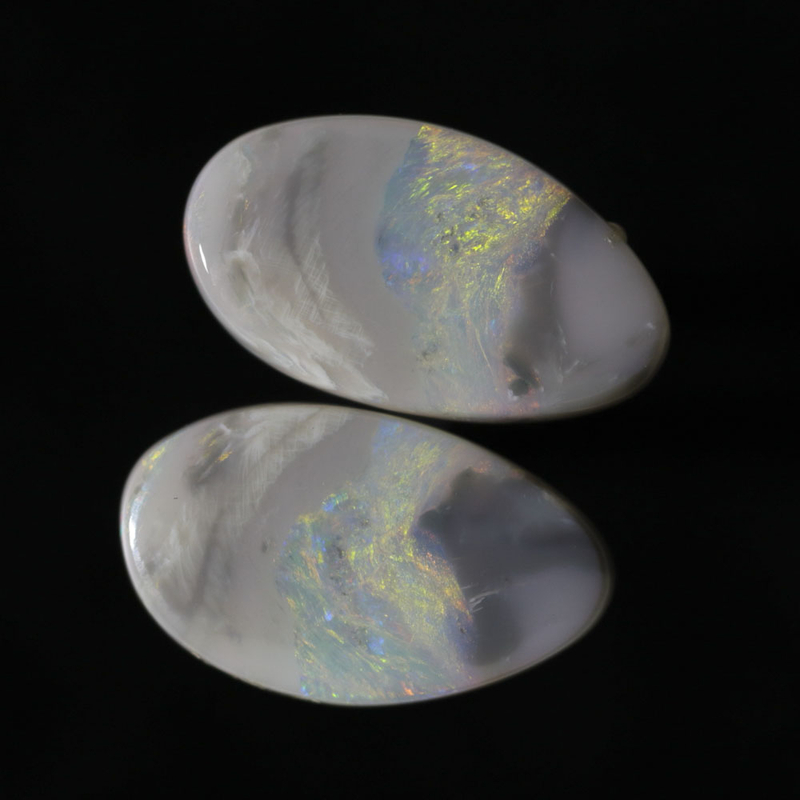 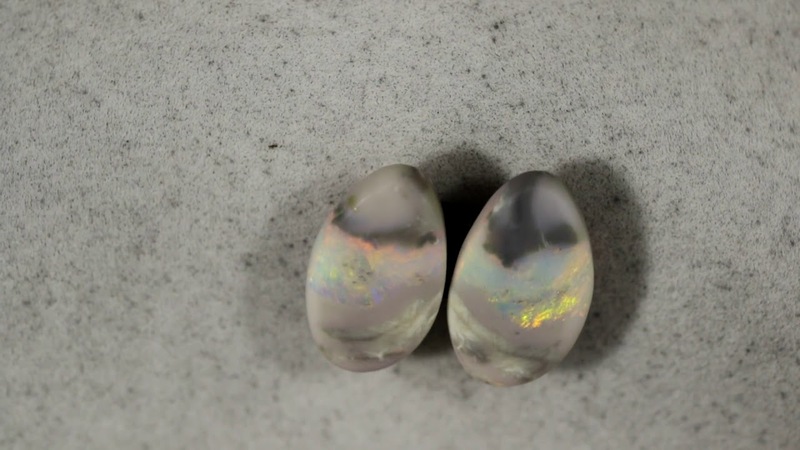 These have been paired up by sawing through the opal seam to get what is called a book leaf pattern ( a mirror image). These stones are bordering on picture stones. 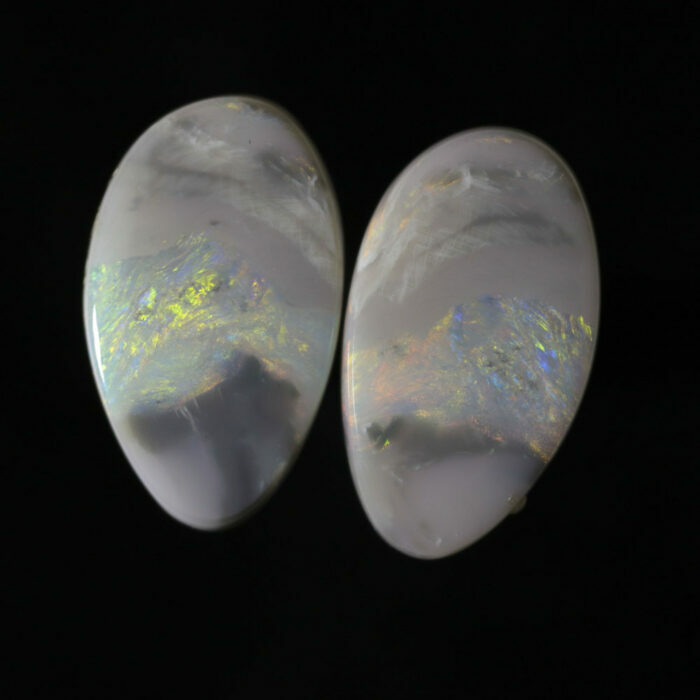 the main color plays are salmon pinks rolling across the face with movement. 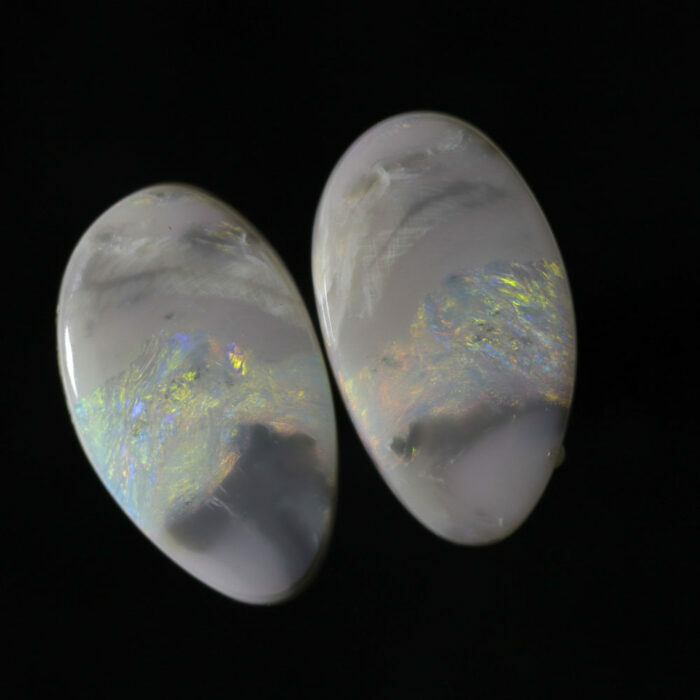 These have a flattish back and face.